This was part of my original vision for my Nighthawks parody. 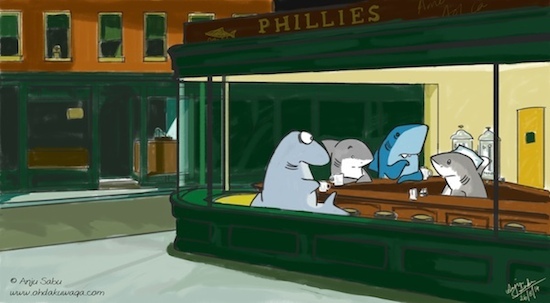 I think it would be rather fun to have coffee with Shaaark! by Phil Watson and Sherman from Sherman's Lagoon by Jim Toomey. 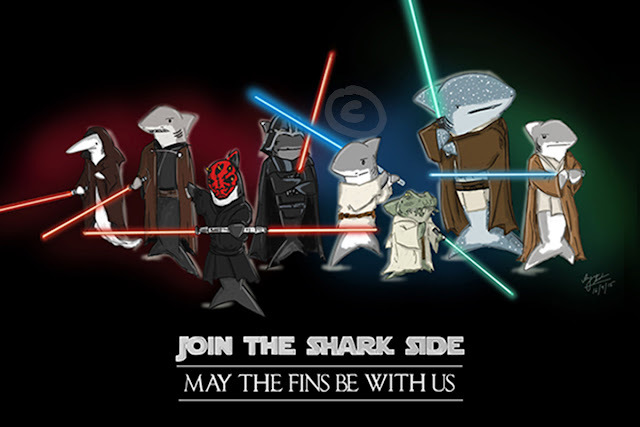 I was worried that I wouldn't be able to draw their sharks but they look recognizable enough, don't they? I'd like to have a fourth shark to take the place of the barista though.